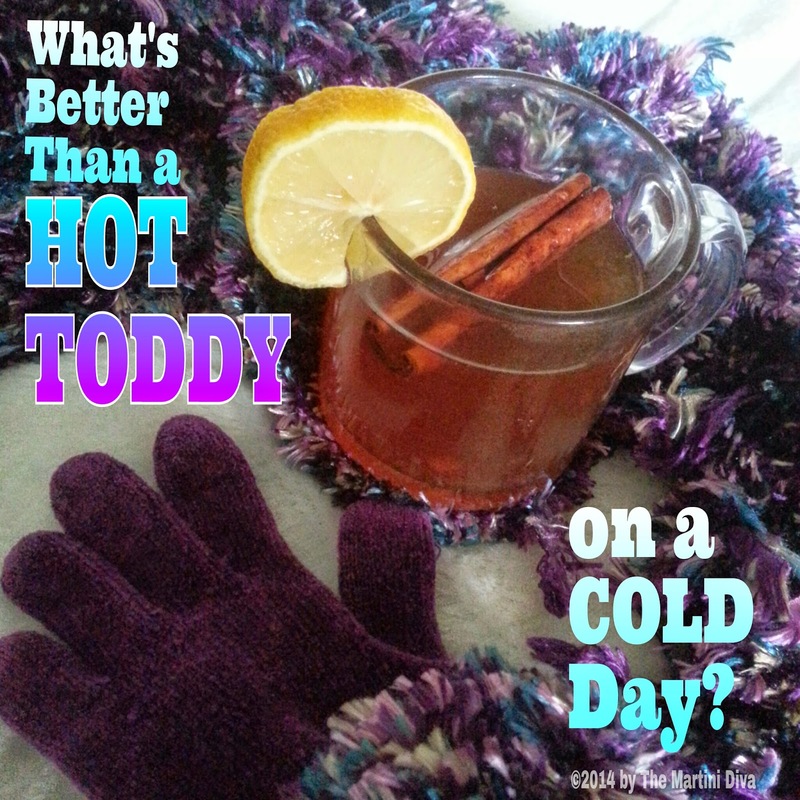 There's nothing that will warm you up inside and out more than a Hot Toddy! Traditionally a Hot Toddy (or Hot Totty) is a hot, spiced mixed drink made of liquor, lemon juice and water with a sweetener such as sugar or honey. While you're steeping your tea, add your honey and lemon juice to your cup and nuke it for about 10 seconds. I find this aids in helping dissolve your honey. Add your cinnamon stick to the cup then pour the Jack Daniels over the cinnamon, lemon and honey. Gently stir while pouring in your hot tea. Garnish with the lemon wheel and enjoy all tucked in and cozy under a furry throw with a good book! 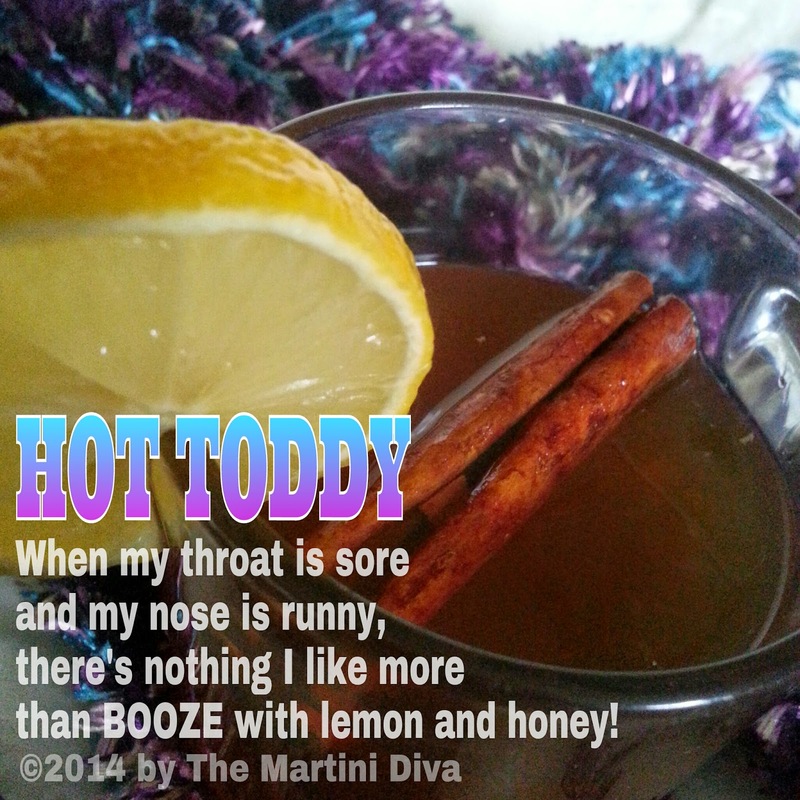 January 11th is National Hot Toddy Day.